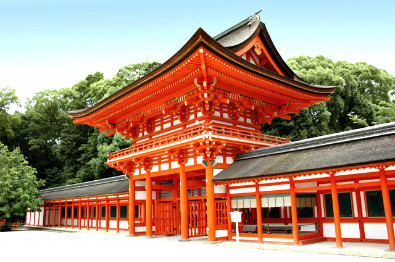 The Shimogamo Shrine is one of the three Shintō shrines in Kyoto listed by the UNESCO as World Heritage Sites. 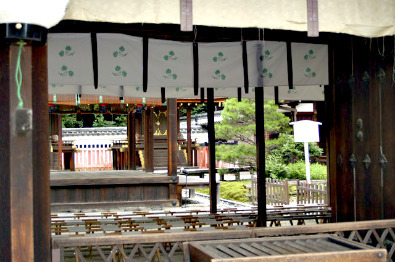 The shrine's formal name is Kamo-mioya-jinja (賀茂御祖神社). 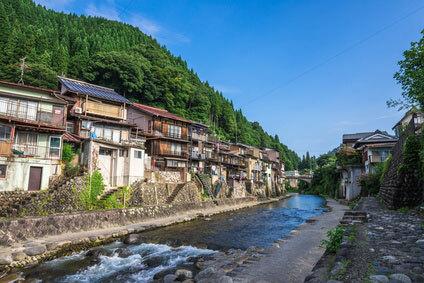 Shimogamo means "Lower Kamo", as opposed to its sister shrine, the Kamigamo (Upper Kamo), in reference to their respective situations along the Kamo River. 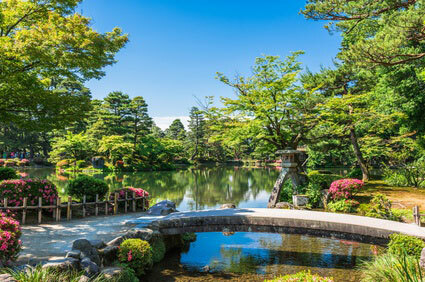 The origins of Shimogamo-jinja are lost in time. The shrine already existed when the city was founded in the 8th century, and 2000-year-old artefacts were unearthed in the area. It occupies the last remaining part of the ancient Tadasu-no-mori (糺の森) forest, along with the grounds of its sister shrine, Kamigamo-jinja, a few kilometres to the north. 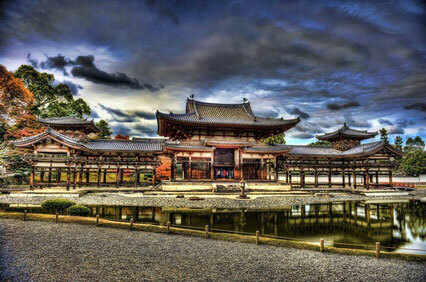 The shrine was the object of Imperial patronage throughout the Heian period (794-1185). It enshrines the deity Tamayori-hime (玉依姫; lit. "the spirit-inviting princess") and her father, Kamo Taketsunomi (賀茂建角身), two Kami associated with thunder. 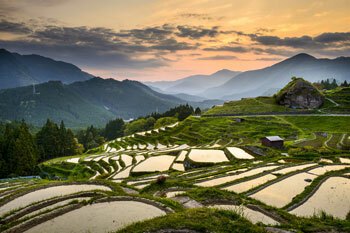 Shimogamo is composed of 53 buildings, all of which are designated Important Cultural Properties of Japan. The all vermillion-and-white buildings contrast with the ubiquitous greenery around. The architecture is characterised by very asymmetrical gabled roof projecting outwards on one of the non-gabled sides. 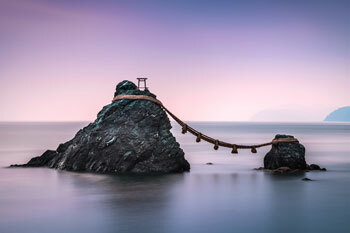 This style is known as nagare-zukuri (流造 ; flowing style) and is the most widespread among Shintō shrines nationwide. 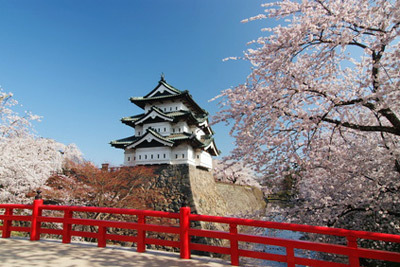 On 15 May each year, the two Kamo shrines, Shimogamo and Kamigamo, host the Aoi Matsuri (葵祭 ; Hollyhock Festival), one of Kyōto's three great festivals, along with the Gion Matsuri and Jidai Matsuri. The Aoi Matsuri has origins going back to the the reign of Emperor Kinmei (539-571). After a succession of disastrous weather resulting in crop failure, the emperor sent a messenger on a horse to the shrine in order appease the deities with offerings and prayers. This became an annual ritual, soon complemented by equestrian archery performance, and with time, the event evolved into a festival. Nowadays, the Aoi Matsuri consists of a procession of two oxcarts, four cows, thirty-six horses, and six hundred people (in Heian-era attire) led by an Imperial messenger. 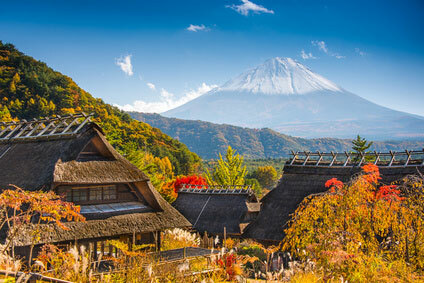 The convoy leaves the Imperial Palace at 10:30 am and parades to Shimogamo, then continues its journey to Kamigamo. "Aoi" is the Japanese name for the hollyhock flower (Alcea), which leaves are used as decoration throughout the celebration. The shrine is open daily from 6:00 am to 5:00 pm. Admission to the precincts is free, but a ￥500 contribution is required to penetrate the Oiden building. Shimogamo-jinja is located near the confluence of the Kamigy and Takano Rivers, approximately 500m north of Keihan Demachiyanagi station. 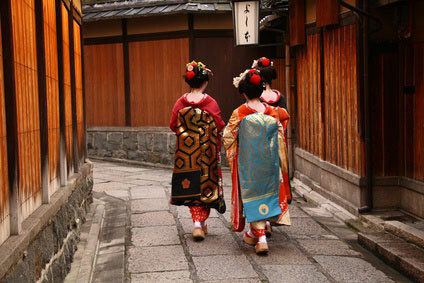 It's a 10 min ride from Tōfukuji station (nearest from Kyōto Station) or 3 min from Sanjō station (Gion).